Have Mobile Phones In the Classroom Reached Their Calculator Moment? Last week, while reviewing our class syllabus on the first day, I made a decision to do a little experiment. 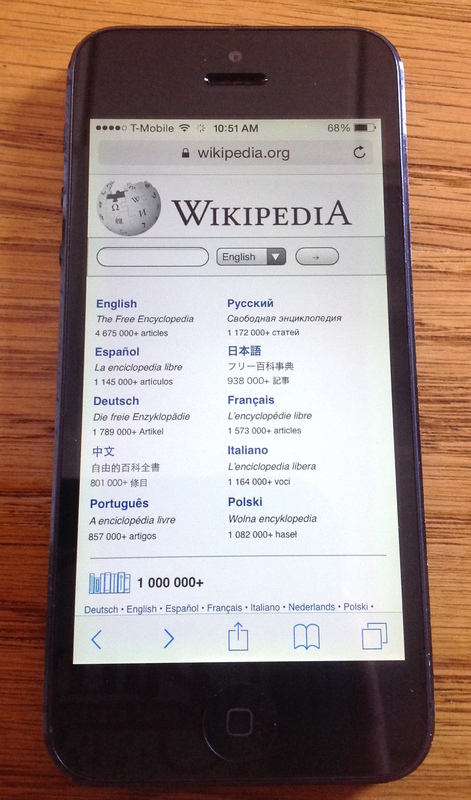 Rather than make the announcement that mobile phones should be turned off during class, I did the opposite. I told my visual anthropology class that unrestricted use of mobile phones in class would be allowed this semester. I have a vague memory of debates among teachers back when I was in high school about the place of technology in classroom—specifically the role that calculators should have in math classes. Should students use the new technology in doing problem sets? Should they be able to use them on tests? While I was too young and not really in a position to actually know what was going on among my teachers at that time, today I imagine that the older generation of math teachers thought that using the technology would weaken student’s minds and math skills, while the younger generation of teachers realized that the technology was here to stay and needed to find a place. Perhaps in the teacher’s lounge they debated the ethics of locking public education curriculum to a corporate technology product, or raised questions of social class and the accessibility less wealthy students might not have to the expensive equiptment. As a student, however, I do remember what I thought. In the early 1980s the promise of computing technology was in the air. We had home computers connected to our TVs and calculators on our digital watches. While it was rumored that students the generation before us had hunched over a mythological device called a slide rule, the modern, super abilities of a Texas Instruments TI-35 calculator could do so much. 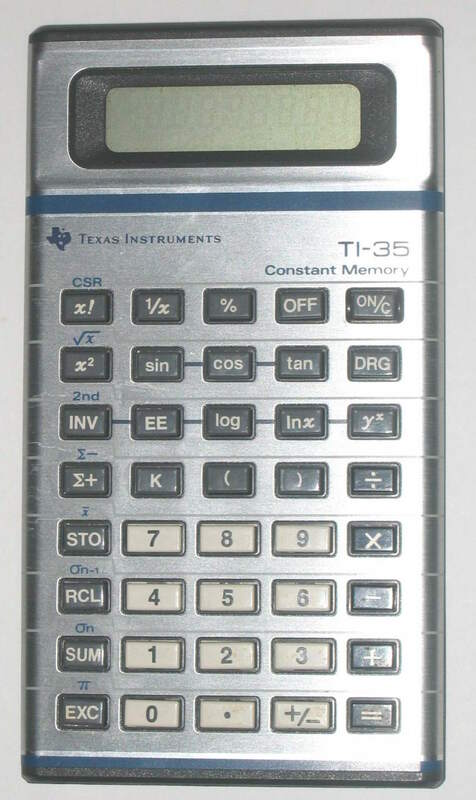 Lately I have been thinking about the conundrum of mobile phones in my classroom, however, in the context of my old TI-35 pocket calculator. A decade ago when mobile phones were just phones turning them off in class seemed logical—a personal call would disrupt a class. In the intervening years I have retained this assumption that phones are off while class is on, even as phones have become pocket computers. At the same time, when I have a quick question, am putting together a lecture and can’t remember a name, a date, or a quote I reach for my phone to do a quick search. Mobile device use and Internet searches perforate my reading and research—why should class be an artificial place where this standard use ceases? If we allow computers in the classroom—which, by the way I strongly discourage—why not allow the phones? Or, perhaps in terms of that old TI-35: Why hunch over a slide rule when I have a calculator on my wrist? What would class look like if everyone could consult the Internet as needed, the same way they do outside of class? As an instructor it is a bit scary because if I get a date or a name wrong I could be embarrassed. I would potentially be losing quite a bit of control and authority. The gains, however, could be enormous as all 20-25 brains in class would also be able to access the hive mind. The real issue, as I see it, is that mobile phones have a primary purpose as communication devices—and overcoming the temptation to text, Tweet, Facebook or Yak is the biggest challenge. Someone goes to look up some biographical information on Roland Barthes, for example, decides to check Facebook for a minute and then falls into the black hole only to emerge an hour later when class ends. Worse still a search for an essay by Franz Boas returns a silly cat video and crashes a serious classroom discussion. But, isn’t this the problem now? Everyone I know already has a problem managing the Internet’s knowledge and balancing it with the social and the entertaining. It seems to me that working this through in a classroom setting might be exactly what we all need. Then there is the strange disconnect I have observed between social media and academic work. Students will Tweet about concerts, Facebook about family and Yak about drinking, but rarely do I see any engagement with ideas and academic content. Why so few Tweets about Plato or posts of quotes from bell hooks? Its as if the wall that a classroom erects between the social of mobile media and the knowledge and ideas of the classroom as been too effective—making it difficult to model connections between their two worlds. I’d love to see students share the fantastic things they are learning in class. So last Thursday I made the announcement in class: Full mobile all the time. I did, however, retain the option of changing the policy if things get out of control. It is possible that while we have the power, we don’t yet have social norms in place that will make it possible for us to use it in a way that isn’t disruptive. One additional thing. I expressly forbid recording of class content or discussion—either with audio or video—because I do believe that the classroom should be a space where we can all discuss things openly and make mistakes. The last thing I would ever want is for a recording of a discussion where someone takes a chance or follows a line of thinking to an embarrassing dead end to be circulated outside that particular moment in the classroom. I think, however, that given the ubiquity of mobile technology—and, if I’m honest with myself, the extent to which I use it as well—the policy of no mobile phones in class really is an artifact from a different age. When students have more processing power in their pockets than the Apollo program, it seems wrong to say turn them off. Some interesting thoughts about cell phones in the classroom. I couldn’t agree more. I’m constantly relying on my students to help with facts that would further enable our discussion. Just the other day we needed to figure out the typical speed of a punch while we were trying to figure out whether momentum or kinetic energy determines the level of pain from a collision. What I especially like about this post is the idea that perhaps we can provide opportunities where students can better learn to navigate all the distraction. I should also say that it seems lots of educators seem to have found ways to get their students to tweet about things like Plato or gravity with appropriate modeling. I also really like using services like GroupMe to enable conversations about our class via group texting. I am intrigued by your comments about computers in the classroom. Am I understanding you correctly that you do not think students should use computers in the classroom? As I read this, it seems at odds with your views on phones. Can you elaborate? As for the issue of computers in the classroom. I do actively discourage using laptops in the classroom. I find them irritating and distracting—the way they put up a barrier between the student and the rest of the class. Also, I have yet to find anyone who can take meaningful notes on their laptops. In this way, I hope that pads and phones are an improvement—they can be used to search for information without being an obstruction. I encourage students to take notes on paper and then photograph the notes if they simply must have a digital copy. This will be a great experiment! I look forward to reading your future posts on allowing students to use their mobile phones in your class. I wonder which of their phone’s features or apps your students will identify as critical helpers that enhance their learning. I’ll be sure to post updates here as things develop. I’ll be curious to see what happens. Yesterday in class there were a few Googles for information. To be fair, however, I also told them that they could Yahoo! I remember the debate about calculators in the classroom. It took a note from my chemistry teacher before my father relented and allowed me to purchase a calculator, a TI-30. I was surprised to learn from Jennifer Carey that calculators in the classroom are still debated. They are even for college kids. I took a statistics class in January where all we were allowed to use on exams was a basic four function calculator. When I took statistics in high school half of the class was learning how to do everything on our TI-84 graphing calculators. It was really hard for students to adjust to, because most of us already had a graphing calculator, or at least a TI-30. However apparently even TI-30’s can do statistics, so they weren’t allowed.